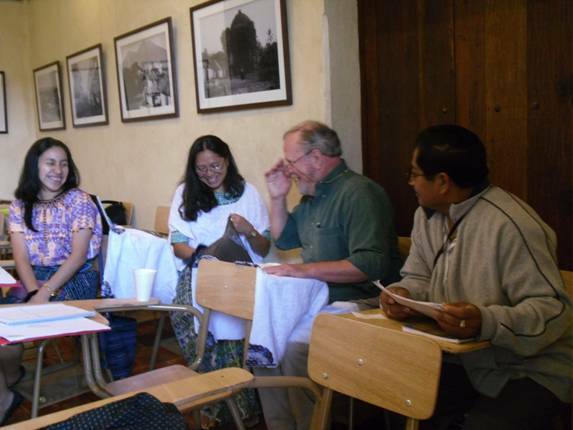 Others attended the beginners’ workshop, learning the basics of the Maya calendar and the script. New colleagues Irene Ake’ (front) from Campeche and Martín Gomez from Chiapas, along with our returning member, Ana Patricia Martínez from Yucatán, all gave very high marks to the instructor and the overall four-day workshop experience. 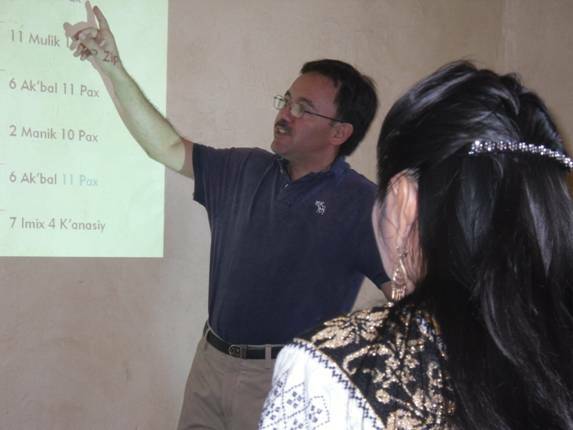 Oswaldo Chinchilla-Mazariegos, Director of the Popol Vuj Museum in Guatemala City, taught the Spanish beginners course. Here he is reviewing the structure of calendar round dates. We, the board members of Friends of the Maya, are proud to announce that Oswaldo has agreed to join our board and to be our contact person for Guatemalan affairs. He has a good working relationship with indigenous groups and already has professional ties with a number or our Maya colleagues. We enjoyed Lloyd Anderson’s participation. 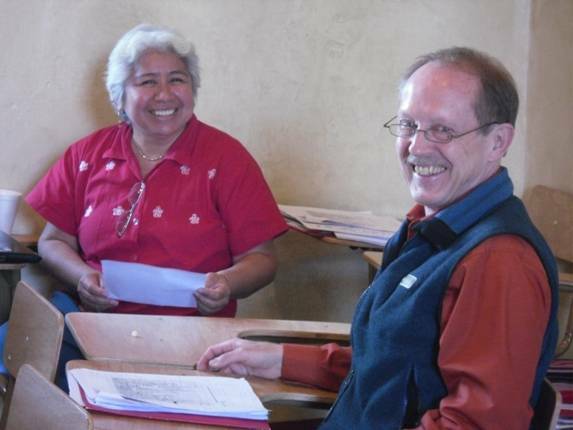 As a long-time supporter of Maya-workshops-for-Maya-people, we all benefit from his enthusiasm and contributions. 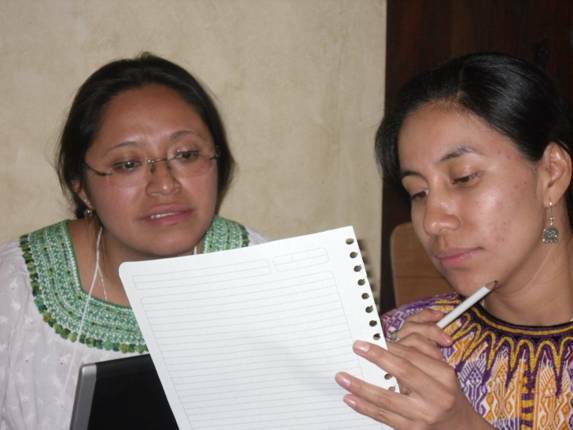 Ana Elizabeth (front), another one or our new colleagues, brings a new Mayan language to our group. She is a Mam speaker from Huehuetenango, Guatemala. 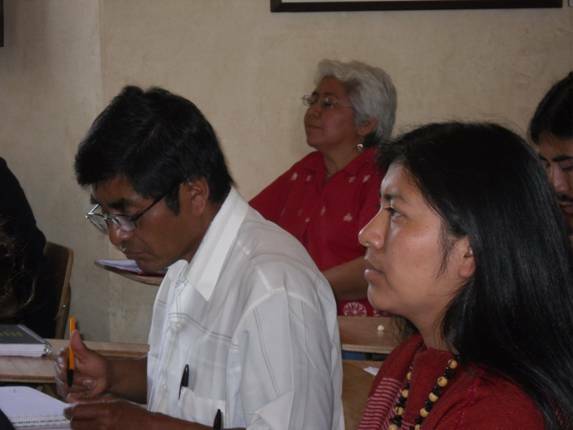 Iyaxel (right) and Romelia worked intently during the advanced workshop. The workshop was in English, which provided an added challenge. 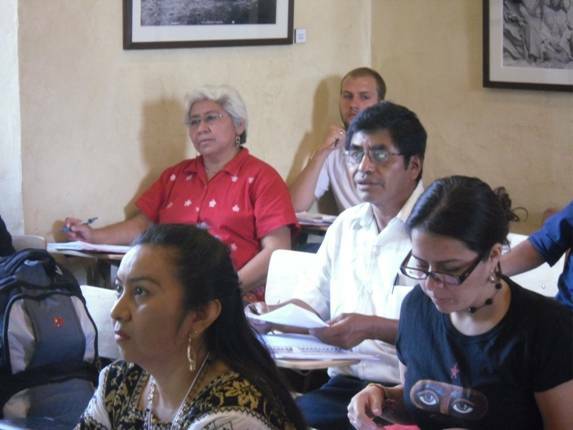 One of the things FoM is promoting is advanced glyph workshops in Spanish, to accommodate all the Mayas who have now had the basics and are ready to move on in their glyph studies.